In Aim of Improving the Life and Technology Services Department of Smart Cities at the University of Information Technology and Communications Received the Interested in Providing Creative Solutions. Smart Cities department at UOITC received a group of people interested in implementing Smart Cities to discuss the project's outline, improve the level of life and technology services and to introduce creative solutions. 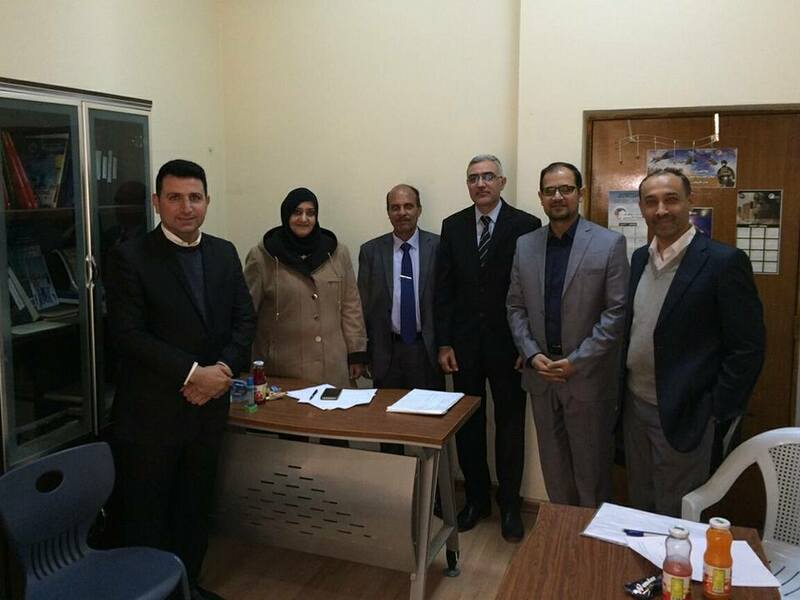 Among those interested was Dr. Mohsen J. Odeh from the Urban Planning department at the Municipality of Baghdad and Dr. Anwar Q. Al-Khatib from Al-Farabi college, who had questions and discussions about the main requirements and components that comprise the Information and Communication Technology infrastructure and the complete level of administrations that was carefully specified for smart city. So the ICT infrastructure is a prerequisite for the success of smart cities and the effectiveness of their services. Dr. Abbas F. Al-Jabouri referred through his word to "The Smart Cities departments was initiated at UOITC in 2017 to be the only center and source in Iraq and Iraqi universities in this field, and the first start to adopt all projects, researches and applied ideas related to smart cities in all its joints and receive all these projects from researchers and interested from various Iraqi universities and educational, scientific, researcher and industrial institutions and also from various ministries of the state to lead them to the results of excellence and for supporting them academically and financially”. The meeting was attended by all members of the smart cities department at the university. It included discussing the future of the smart cities project in Iraq, the ongoing preparations for the workshop that will be organized by the Municipality of Baghdad in cooperation with the department and the future plans which the department intends to implement in the short and long term.